The Albertina Graphic Arts Collection is located on Albertinaplatz and is a Mecca for graphic artists from around the globe. The museum not only has the largest and most valuable graphical collections in the world, with works such as Dürer’s “Hase” and Klimt’s studies of women. 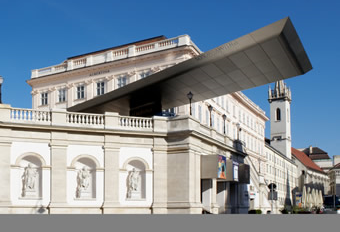 The Albertina also presents masterpieces of the Modern, spanning Monet to Picasso and Baselitz. 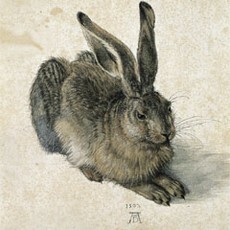 The collection, which was established in 1776 by Duke Albert of Saxony-Teschen, a son-in-law of Empress Maria Theresia, comprises over one million prints and 60,000 drawings. Famous pieces such as Dürer’s “Hase” and his “Hands folded in prayer”, Rubens’ studies of children and masterpieces by Schiele, Cézanne, Klimt, Kokoschka, Picasso and Rauschenberg are displayed in the rotating exhibitions. On permanent display in the Albertina’s new exihibition collection are the most exciting art movements of the last 130 years: from French impressionism to German expressionism to the Russian avant garde and the present. Monet’s “Water Lily Pond”, Degas’ “Dancers” and Renoir’s “Girl” can be gazed at in wonder, as can paintings by Beckmann, Macke, Chagall, Malevich, Rothko, Rainer and Katz. In addition, the Albertina has an architecture and photographic collection (incl. Helmut Newton, Lisette Model), whose works are displayed in special shows. The staterooms of the largest Habsburg residential palace were once lived in by the favourite daughter of Empress Maria Theresia, Archduchess Marie-Christine, and later by her adopted son, Archduke Karl, the winner of the Battle of Aspern against Napoleon. The staterooms in shining yellow, green and turquoise, partly furnished with original furniture, transport visitors back to the time of their inhabitants. Both the entire gilding of the carvings with the special alloy “Albertina gold” and the artistic parquet floors with rose and ebony intarsia are worth a look.